With a golden cover and being as white as jade inside, Shakou bamboo shoot is famous for its sweetness and freshness. Since the Republic of China, Shakou bamboo shoot and its products have been exported to Hong Kong, Macao, Southeast Asia, Japan and other countries. In 1972, the State Council especially transported Zhangcha Shakou bamboo shoot to Beijing with private plane and served it to American president Nixon as a dish of state banquet. 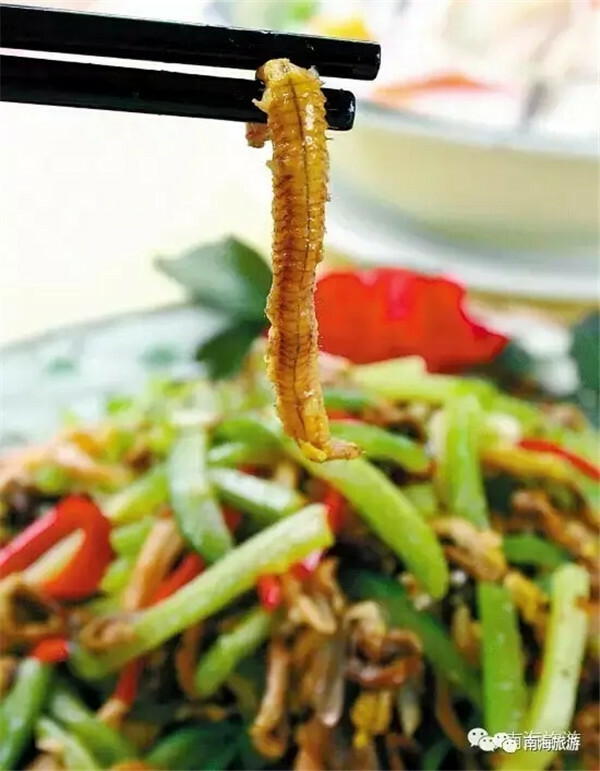 Since then, Shakou bamboo has been called “the best bamboo shoot in Foshan” or “national bamboo shoot”. Bamboo shoot porridge, crab braised with bamboo shoot and bamboo shoot fish noodles are delicious local Shakou bamboo dishes. On May 29 this year, the 3rd Zhangcha National Bamboo Shoot Cultural Festival was held in China Southern Maker Valley. 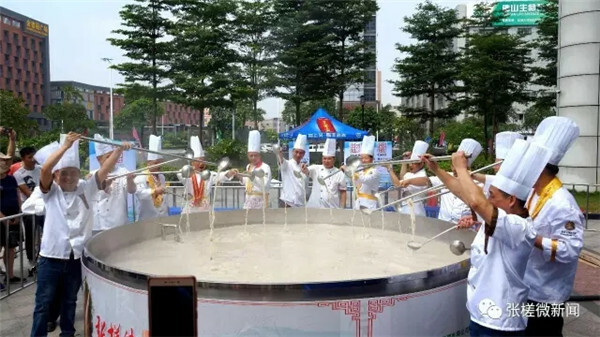 A large pot of bamboo shoot porridge was made of 250 kilograms of Shakou bamboo shoot, 250 kilograms of grass carps, 125 kilograms of peanuts, 125 kilograms of soybeans dried orange peel and ginger, which was cook on a pan with a width of 3.5 meters and a weight of 2,500 kilograms. The chiefs cooked from 3:00 am and everybody could shared the tasty porridge together. The best season to taste Shakou bamboo shoot is from May to October. 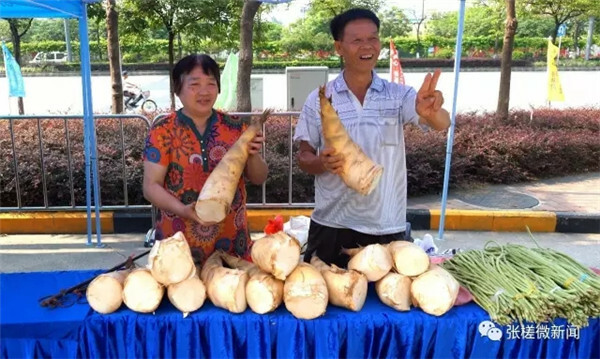 An experienced farmer teaches people to select the white bamboo shoot with soft cover, thin lines and bent body. 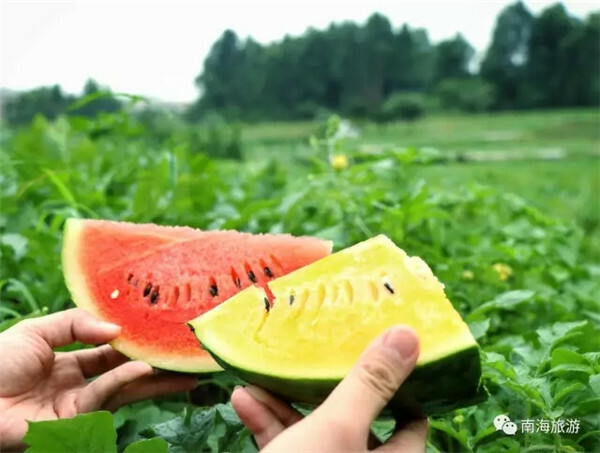 Shijie water melon will only come to the market for a month and it will come in a large number after the Dragon Boat Festival. According to the colors of melon pulp, it can be divided into red-pulp melon and yellow-pulp melon. The red-pulp water melon has many varieties, among which Xiaobao and Cuirou are the most popular. 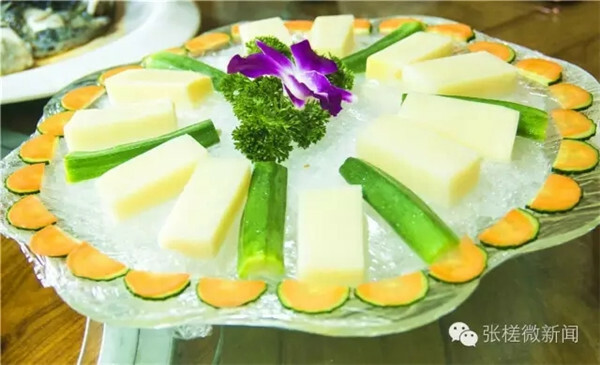 Xiaobao usually weighs 3.5 to 4 kilograms with thin and hard rind, which makes it easy for transportation and suitable for 2 to 3 people to share. 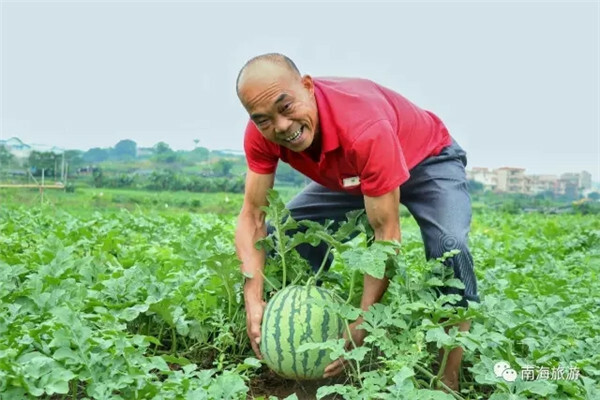 This variety takes up more than 80% of the water melon field in Shishan. After cutting it open, the red and fresh water melon pulp is very tempting. The size of Cuirou is much bigger than Xiaobao with a weight of about 10 to 15 kilograms. Compared with Xiaobao, the pulp of Cuirou is red in a lighter way but more crunchy. Yellow-pulp water melon has a similar size as Xiaobao but the pulp is softer and juicy! Tylorrhynchus is a kind of soft red worm that looks like centipede with a length of 4 to 5 centimeters. Its protein content is as high as 60% and it also contains many microelements. Besides, tylorrhynchus usually lives in the the salt-fresh water border and the paddy field without pollution and is hard to realize artificial breeding. Therefore, the price of tylorrhynchus in the market is relatively high. It comes to the market from April to May and from August to September on the lunar calendar. 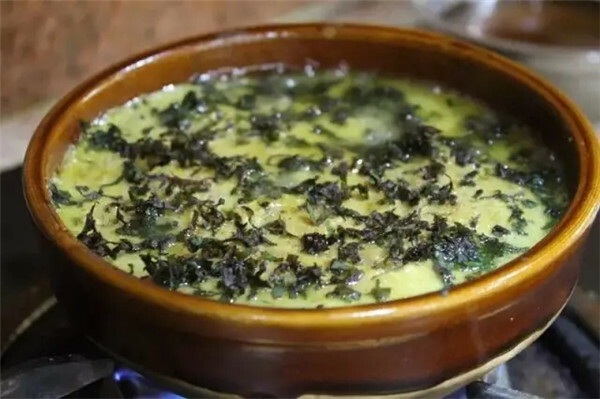 The most traditional way to cook tylorrhynchus is “put chai tylorrhynchus”. The crisp surface covers the smooth tylorrhynchus with special lasting fragrance!